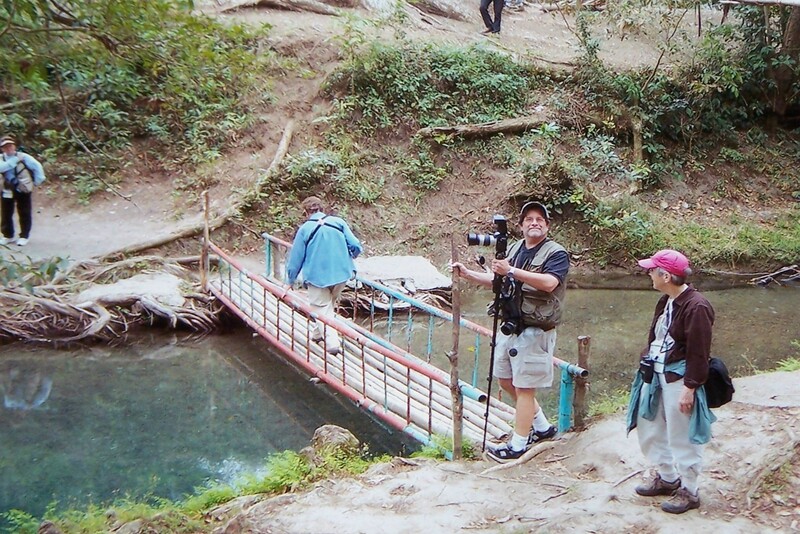 I took a trip to Texas and Mexico in February 2006. Here is a report on the Mexican portion of the trip. Bill Fiero and I joined the group at the Howard Johnson’s in Harlegin, Texas on the morning of 2/19/06. We were to spend a week in Mexico which included the three day El Cielo Nature Festival in Cd. Mante and a three and a half day extension trip to some of my target areas. After a quick stop at the border for all to obtain visas, we headed south. Our first stop was the Mescale plant along rt 85 and then the Mango Stand. Fresh fruit and juices and their great Mango Pie. Birding the grounds of this garden center was quite rewarding. We had Scrub and Yellow-throated Euphonias, Clay-colored Robin, Altimira Oriole, Couche’s Kingbird and Squirrel Cuckoo to name a few. We arrived in Cd Mante at 4pm, got our rooms and headed out to bird the town. Having been here before, I new a great park in town that is usually quite birdy. Its actually the town square where something is always going on. The fruiting and blooming trees are bird magnets. 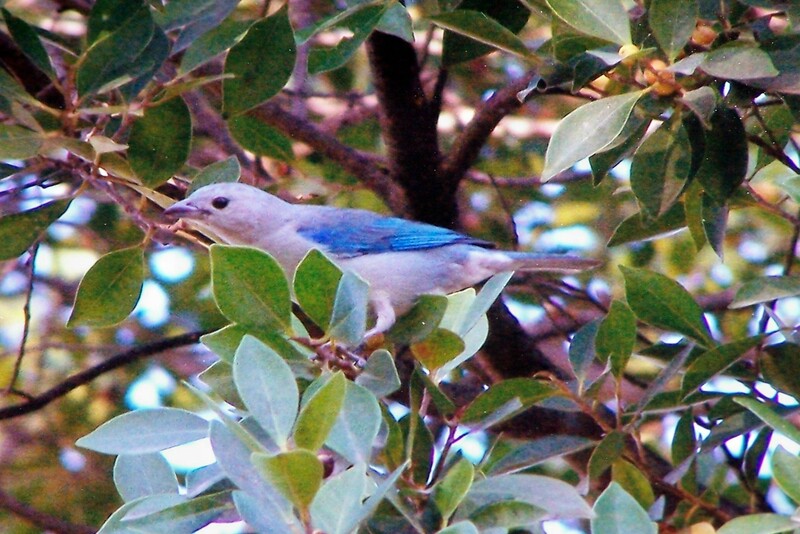 Birds seen included dozens of Blue Gray Tanagers, Yellow-throated Warbler, Red-billed Pigeons, Western and Yellow-winged Tanager and Orange-crowned Warbler. We then headed back to the hotel for dinner and Margueritas! The next morning we were up at 5 Am for a great breakfast at the hotel then off for the birds. We headed to Gomez Farias where we would board trucks that would take us up the mountain to Alta Cima. The distance is only six miles, but it is a 2000 ft elevation gain and a bumpy road. Its the birds however that hold up the trip. It is a great spot. 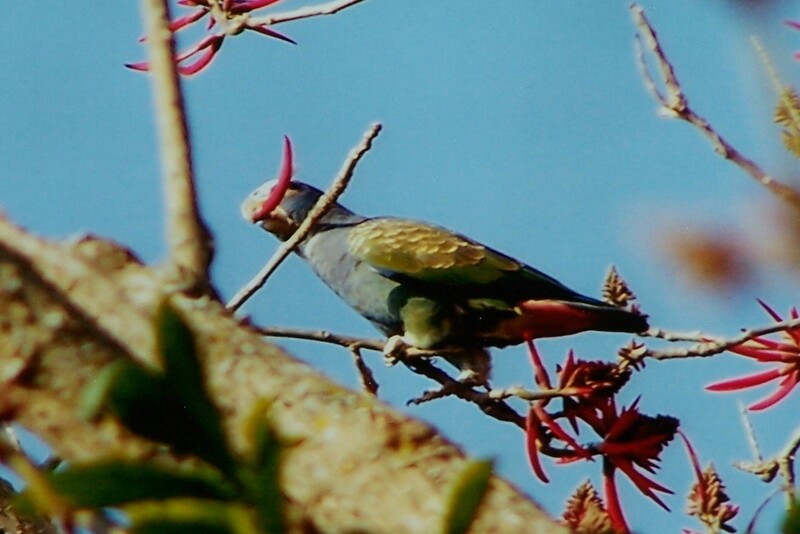 Birds seen along the way included CANIVET’S EMERALD, Wedge-tailed Sabrewing, Hooded Grosbeak, BLUE-CROWNED EUPHONIA, WHITE-WINGED TANAGER and White-crowned Parrot. Once in Alta Cima, birds seemed to be everywhere. Azure-crowned Hummingbird, White-collared Seedeater, WHITE-COLLARED SWIFT, Greater Pewee, Spot-breasted Wren, GRAYISH SALTATOR, a pair of GREAT BLACK HAWKS and Yellow-faced Grassquit were just a few of what was seen. The next morning we headed to a town park just below Gomez Farias. The birds were as abundant as we had now come to expect. As we walked along the river there we saw Blue-crowned Motmot, Rose-throated Becard, GRAY COLLARED BECARD, Masked Tityra, Blue-throated Hummingbird, Blue-black Grassquit, COMMON BLACK HAWK, Blue Ground Dove, Ferrouginous Pygmy Owl, White-throated Robin and Ivory-billed Woodcreeper. We had a great lunch at Casa De Piedra ( where I had stayed in 2001) and then headed down to Bocatoma Two along the Rio Frio. We birded the grounds for a couple of hours. 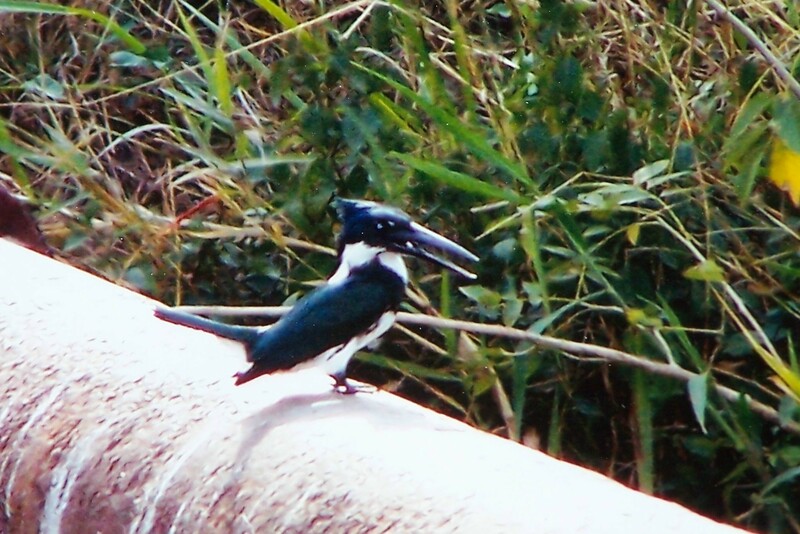 Here we saw Amazon Kingfisher, Green Kingfisher and Ringed Kingfisher. Other birds included Flame-colored Tanager, Indigo Bunting, Black-headed Saltator, Aztec Parakeet, Red-crowned Parrot, Squirrel Cuckoo, Groove-billed Ani, Inca Dove and many more. At 4 PM we boarded a small boat to take a half hour trip on the Rio Frio. This ride gives you the opportunity to see a number of species that are hard to see elsewhere. We had great looks at Sun Grebe, Boat-billed Heron, Muscovy Duck, Amazon Kingfisher and lots of waterfowl. Back to the hotel for dinner and a well deserved good nights sleep. Day four we headed southwest to El Naranjo. A stop at the falls at El Mecco provided great views and birds. Hundreds of White-collared Swifts flew overhead ( more than I’d ever seen) with several flocks of Red-crowned Parrots passing as well. Mixed species flocks of warblers included Golden-crowned, Crescent Chested and Rufous-capped Warblers. I had my first looks at BLACK-CROWNED TITYRA here. We then moved on to the falls at El Salto. Here we had Peregrine Falcon, Least Grebe, Broad-billed Hummingbird both Brown and Green Jays, Tropical Kingbird, Boat-billed and Social Flycatchers and another Ferouginous Pygmy Owl. The butterflies in the area were great too. There were 140 species seen on the trip. At twelve noon, our extension group bid farewell to the others, met our driver and van and headed further south. Bill Fiero, Bill and Rosita Shane, John Baird and I met our guide just outside of El Naranjo. Our driver was Javier and our guide was Lalo. This four day, three night extension trip cost $720.00 and was aimed at getting us some of our target species. 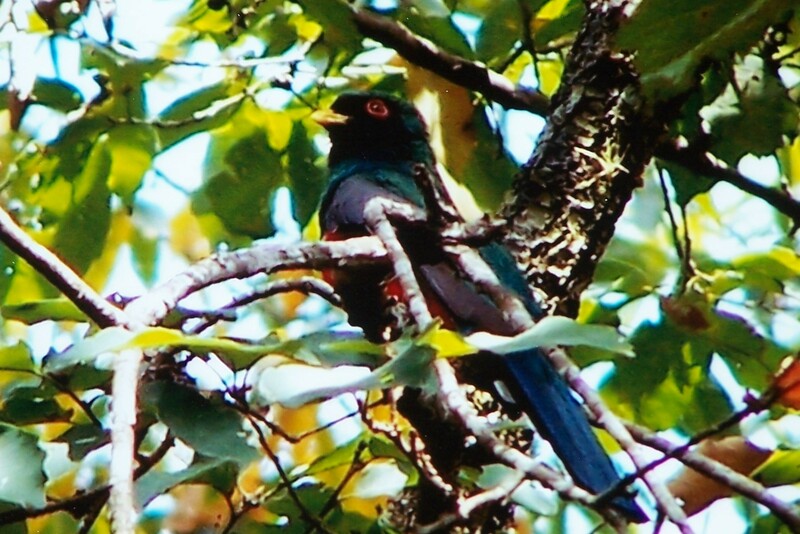 We birded the El Naranjo area that afternoon, adding many trip birds. We spent the night at the Buena Vista Hotel in El Naranjo. Up early in the morning, we headed out in the dark for Agua Zarca, arriving just about at dawn. What a great area this is. We birded the Pine/Oak forests at 4000 feet. We saw GRAY SILKY FLYCATCHER, White-crowned Parrot, Mountain Trogan, SPOTTED WREN, Varied Bunting, Bronze-winged and Acorn Woodpeckers, Spot-crowned Woodcreeper, BARRED ANTSHRIKE, Rufous-capped Brushfinch, Flame-colored, Western, Hepatic and Yellow-winged Tanagers, Audubon’s and Hooded Orioles, Azure-crowned and Blue-throated Hummingbirds, Blue-crowned Euphonias and another Great Black Hawk. At that point we started back toward Cd Mante. We headed for a wetland just outside of town called the Naciamento. Marsh birds were abundant. We had many NORTHERN JACANA, American Coot, Cinnamon Teal, Amazon Kingfisher, Tri-colored and Little Blue Herons and Pied-billed Grebe. On to Cd Victoria where we spent the night. On day Six, we birded the lowlands east of Cd Victoria. In this area we had Broad-billed, Buff-bellied and Ruby-throated Hummingbirds, Gray-crowned and Common Yellowthroats, Red-lored and White-crowned Parrots (most abundant parrot of the trip), Belted and Green Kingfishers and many species of warblers. At a large lake/wetland near Cd. Victoria we had and abundance of waterfowl. American Coot, American Wigeon, Mexican Mallard, Northern Shoveler, Gadwall, Ruddy Duck, Ring-necked Duck, Bufflehead, Redhead and Canvasback were all seen. Northern Harriers and Osprey gave us some new raptors. Day seven found us in the mountains west of Cd. Victoria. Here we had Greater Roadrunner, Black Phoebe, Flame-colored and Hepatic Tanager, both Waterthrush, Painted Redstart and a pair of Common Black Hawks. At noon we headed back to Texas which was about a five hour ride. We had a total of 226 species on the trip. 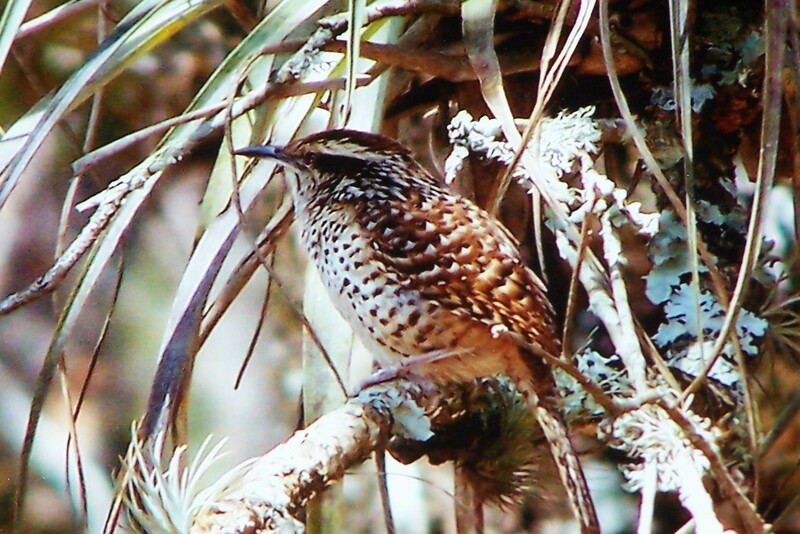 I had 13 lifers on my fourth trip to Mexico and it brought my Mexican list to 333 species. Trying to reach Bill and Rosita Shane. Made friends with them maybe 6 years ago at S. Llano River SP. I am an avid birder and we made our acquaintance as they looked after the birding facilities there at the SP. Would like to reestablish contact.